Previously a part of Dan O'Shea’s ‘Steve Weddle Memorial Airport’ Flash Fiction Challenge. It appeared on Kathleen’s blog Women Of Mystery in December 2009. “Slice or be sliced,” the gang-banger ordered Justina. She only knew him by his street name, Wicked. Wicked handed the razor blade to Justina as she climbed into the back seat of the silver Lexus that had been involved in at least three drive-by shootings in the past year. Justina noticed the ink on his upper left arm, the kind she had seen many times before: ‘Smile Now/Cry Later,’ the comedy and tragedy masks that represent Mi Vida Loca, or My Crazy Life. Play now and pay later. He lowered the volume on the CD player, just as ‘It Wasn’t Me,’ by Shaggy had started. Justina liked the string arrangement in that song, and hoped that he would turn it back up when ‘Angel’ came on. Her mother used to talk about the original song, ‘Angel of the Morning,’ and how much she loved it. On this moonlit August night, Justina’s face glistened with a thin layer of sweat. The seventeen-year-old didn’t have much time to contemplate her choices, although the thought of being jumped-in or sexed-in certainly didn’t appeal to her. She wanted to belong; to gain respect and power; to be part of a family that watches her back. She had just moved into the hood and wanted to fit in. After her mother died, she came to live with her father, but she still felt so lost. Wicked’s ringtone, ‘Ridin’ Dirty,’ interrupted the stimulating conversation. He spoke briefly with Flaco. Wicked kept the car running, and he turned up the sound on the CD player, just in time to hear ‘Angel.’ He rolled down the window and lit up a Newport. Justina checked her cell phone for the time. One A.M. It’s almost time, she thought. Her palms were sweaty and her heart fluttered. Flaco was listening to his iPod as he walked towards the car, with a couple of bags slung around his shoulder. No one but Justina noticed the black Ford Explorer quietly enter the parking lot. She sprang out and ran toward the rear of the car. Gunfire erupted from the Explorer, with bullets striking Flaco, Wicked, and The Hood Rat. Flaco lay crumpled on the ground, lifeless. Justina checked the occupants; The Hood Rat was dead, but Wicked was still alive. She leaned into the driver’s side window. Justina jumped into the front seat of the waiting suburban. The male driver calmly drove away. BIO: Kathleen A. Ryan is a retired 21 year veteran of the Suffolk County Police Department on Long Island. She blogs at Women Of Mystery and is working on a true crime memoir. Her story, ‘Playing with Matches’ will be published in W.W. Norton’s Hint Fiction: An Anthology of Stories 25 Words or Fewer, Edited by Robert Swartwood, this November. ".. cold, dark eyes that looked like portals to Hell." Nicely told. Nice touch of sadness there. Gritty and I imagine all too real. Great writing. Wow Kathleen this is great. Congrats. I enjoyed turning the story around to have a different ending than what happened to that poor victim on her dinner break at the mall who made the mistake of wearing red. Thanks, Gay, for your lovely comments! Congrats on the acceptance. Good story, strong writing. The inspiration, though, is very sad indeed. Thanks, John C., for the warm congrats and kind words. I appreciate that you took the time to read my story and leave such a nice comment. 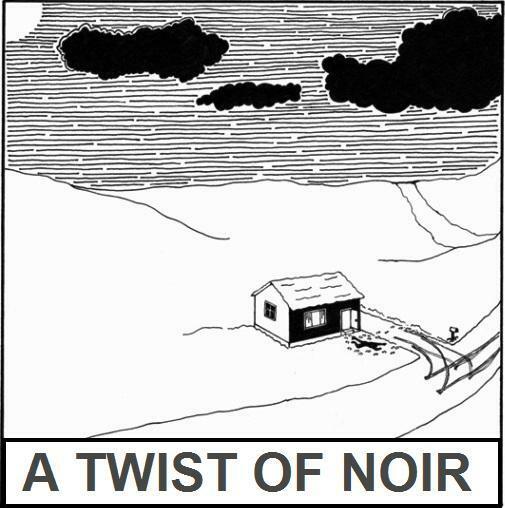 I'm happy to announce that I submitted this story to the Public Safety Writers Association's Writing Competition, and it won First Place in the category of Flash Fiction. I just received the award at the PSWA conference in Las Vegas last week. Thanks again, Christopher, for posting "Victims of the Night." Congratulations, Kathleen! Always good to hear stories about stories that have won awards. And, of course, you are quite welcome for the posting. Thanks so kindly, Paul! I appreciate it!